​If there’s a big group of you traveling together, it can work out cheaper and a whole lot easier to charter a luxury coach bus instead of buying individual tickets to fly or you doing the driving. We can pick you up and drop you off exactly where you want, no matter the size of your group. 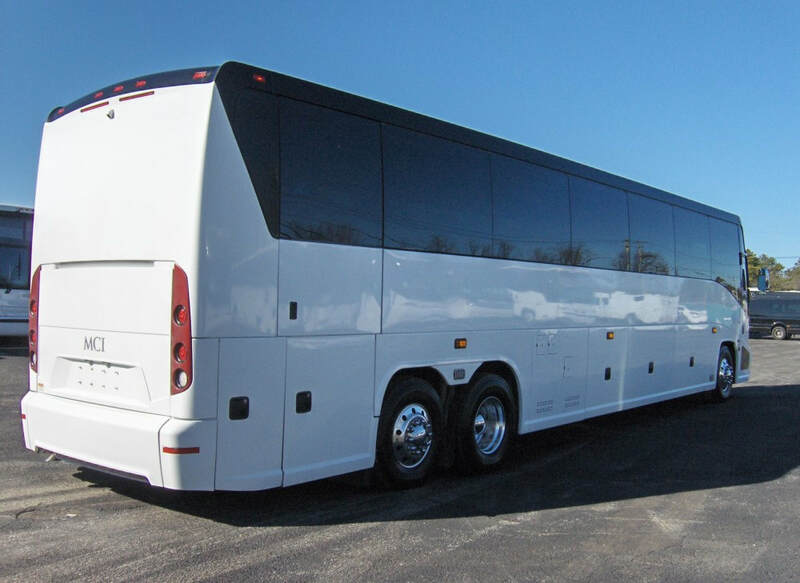 Our coach buses with forward facing seats or our charter buses will get you there in comfort and safety. Our buses are faster and more convenient than your traditional bus service. We don’t stop between locations (except for a quick break) so you can go from Point A to Point B with no stops along the way, unless that is what you want to do. How’s that for fast service? Our luxury Denver coach buses also have all the latest amenities on board, leather reclining seats and large cargo areas, plus dedicated staff who help you from that 1st call to your final destination. Riding the highways has long held an allure for the discriminating traveler. That sentiment still holds true today — Our amazing coach and charter buses in Denver offer a richer travel experience and provides some surprisingly practical advantages too. Give us a call today and see for yourself. Let our expert staff help you plan your one of a kind highway adventure. Why bother with out-of-the-way airports in Denver Colorado, overbooked flights, taxis, expensive downtown parking or traffic ? Hire one of our luxury coaches instead. Our buses go right where you want to go, taking you from the heart of the city to the heart of another. What could be more stress free and convenient? Save yourself the aggravation and give yourself more time for your business or fun things to do with the family. Enjoy a road trip without the hassles. Instead of being cramped and uncomfortable your entire trip, a Colorado coach bus or Charter Bus lets you get up to stretch your legs, walk around and talk to your guests. That's not even an option when you fly or drive a car. When you do want to have a seat, relax in one of our nice, wide seats with plenty of legroom and enjoy views that most travelers will never see. Denver Colorado Coach and Charter offers private coach bus rental led by friendly, well-trained and safe drivers. From day charters to overnight trips, no matter where you want to go, you’ll get there stress-free. Experience the difference nationwide with our top of the line charter and coach buses. Our friendly, knowledgeable sales team will assist with your transportation arrangements. From selecting the right size bus for your group, to assisting you with the best routing and times, the private Coach sales team will ensure that the reservation is matched to your group size, desires and budget. Experience traveling without the hassle, experience luxury in your Coach bus Rental. Coach bus Rentals are available in for the entire state of Colorado. Have one of our agents assist you with coordinating ground transportation rentals in Denver as well as the entire state. Charter bus rentals in Denver will help you get your group shuttle to and from an type of event in comfort. The bus is great for out of state travel because it is fully loaded with reclining seats, Onboard bathroom and TV Screens.